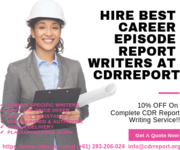 Your Career Episode Report can make or break your chances at CDR approval to a great extent. Being the most significant and elaborate section of the CDR, this allows assessors to view the competencies you successfully own and reflect through practical work exposure. In every one of the three Career Episodes, you need to focus on a particular theme or event that helped you showcase the relevant skill set. We understand juggling a regular day in the life with several personal and professional commitments isn’t something that comes easy. And, on top of it, if you have an RPL Skills Assessment to crack, you might be in a difficult position. However, a positive assessment will open amazing opportunities to start a new life and a new journey. CdrReportAustralia.com is a great relief to engineers who are spending sleepless nights to make their cdr report Australia assessment successful. The efficient team of engineers are capable of writing best set of CDR and career episode records in compliance with the guideline specified in EA booklet.. Experience in Data Centre, Building Services or Industrial / Commercial Power Systems We have been Industry Leader servicing Australia for over a CENTURY with ZERO layoffs. We have an average employee service of over 15+ years of continuous employment, and the Australian Economics do not hinder our growth. 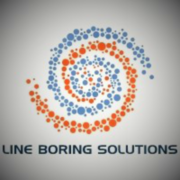 Electrical Engineering & Contract Manager experience in Data Centre, Building Services or Industrial / Commercial Power Systems We have been Industry Leader servicing Australia for over a CENTURY with ZERO layoffs. We have an average employee service of over 15+ years of continuous employment, and the Australian Economics do not hinder our growth. Get Engineers Australia cdr help service at affordable price with 100% plagiarism free. Contact Email : engineersaustraliacdrhelp@gmail.com Website : www.engineersaustraliacdrhelp.com. kmca293Sai Engineering Engineers has become a reliable supplier of Generator, Generator Spare Parts and Used Diesel Generator (Sale & Purchase). Furthermore, we have been engaged in providing Generator Rental Services as well. We have every time believed in supplying par-excellence products & services and at competitively moderate prices. Dear Sir, I would like to apply a Estimator Position. I want your interview appointment, as soon as, possible. Best Regards, Miss May Than Dar Hla Baw. +61 404574011. Your time will be spent: *Maintain and distribute engineering plans, specifications and documentation *Review and prepares responses to request for information *Maintain budget and assign work *ensuring delivery, visibility and quality of projects The role requires: *An Engineering Degree *a passion for new technology *Excellent verbal and written communication skills *collaborate with senior managers on project *Proven ability to learn new computing languages This role has an immediate requirement, but we can provide 457 visa/RSMS sponsorship to you. An Opportunity now exists for a highly motivated engineer to join our team to work in both the private and public sector. Your time will be spent: *Maintain and distribute engineering plans, specifications and documentation *Review and prepares responses to request for information *Maintain budget and assign work *ensuring delivery, visibility and quality of projects The role requires: *An Engineering Degree *a passion for new technology *Excellent verbal and written communication skills *collaborate with senior managers on project *Proven ability to learn new computing languages This role has an immediate requirement, but we can provide 457 visa/RSMS sponsorship to you. For the latest jobs in engineering in Sydney check out Engjobs. With up to date listings and placements for civil and mechanical engineers as well as many other roles we can help you find the right position you are looking for. To find out more visit http://engjobs.net.au/engineering-jobs-sydney. For the latest jobs in engineering in Melbourne check out Engjobs. With up to date listings and placements for civil and mechanical engineers as well as many other roles we can help you find the right position you are looking for. To find out more visit http://engjobs.net.au/engineering-jobs-Melbourne. AUSENGCON is looking for a suitable candidate with strong Engineering background to fill the Senior Draftperson position to lead Shop Detailing Project. Job description: •	Responsible for managing multiple small to medium size design and shop detailing projects. •	Ensure effective and efficient project implementation. Voyages of Discovery Cruise Lines. UK, is a world leader in the superyacht industry. Specialising in the sale, charter, management and new construction of the largest and most important yachts. The company has an unrivalled reputation when it comes to performing for its clients at the very highest level Voyages of Discovery Cruise Lines is recognised throughout the industry for personal service, transparency, commitment to quality and forward thinking. Company Jones Bros engineering company Ltd. Industry Construction Occupation Full Time Country Cameroon Our company is expanding and we are currently hiring the services of technicians, engineers and heavy truck driver to work to work in a road and bridge construction project in Cameroon. Only qualified and interested persons are advice to send their resume CV via email. Description	As one of our Field Drilling Superintendents, you’ll have a key operational role in ensuring optimal execution of drilling, completion and well intervention activities. Your role will extend to rigs and completion and well intervention operations, and specifically involve: • Daily support to the field drilling, completion and well intervention supervisors in all aspects of the planning and execution of well activities • Monitoring civil construction and water well drilling activities • Performing and leading regular technical and HSE audits and inspections as per the HSE plan, the audit plan and contractual requirements • Participating and leading incident investigations • Ensuring follow-up actions are pursued • Managing the interfaces between field production, logistics and materials, HSE departments and drilling, completion and well intervention activities, and resolving any conflicts • Advising field managers on drilling, completion and well intervention matters • Participating in ‘Drill-the-Limit’ initiatives to improve client drilling, completion and well intervention activities • Ensuring compliance with client's wells minimum standards • Developing national staff in all aspects of drilling, completion and well intervention operations, with a particular focus on HSE • Networking with your Shell peers inside and outside the Middle East to drive improvements in drilling, completion and well intervention operations through knowledge and resource sharing. Keydril Limited is an established Engineering and Construction Company. We specialises in the construction of pipelines with a track record of successful projects as well as building and maintenance of gas plants/platforms. The Keydril Limited Company has been awarded a huge project which have set us up for the next couple of years and we are now needing committed project managers with construction or engineering experience to complete our project team. Looking for qualified, highly experienced Engineers? Look no further! We are an International recruitment firm who specialise in recruiting top calibre engineers from Ireland and the UK for businesses in Australia and New Zealand. The proprietors of Sonas have comprehensive professional expertise in engineering, human resources and business. We can identify with your needs and provide clarity on how to do so at more competitive rate than anybody else. Want to outsource steel detailing requirements to the leading steel detailer? Wouldn't it be nice to get your structural steel detailing requirements done at unbelievable discounted rates? 2d drafting India is the hub for all types of structural steel detailing and steel shop drawings services. List of Steel Detailing Services: - Steel Detailing Services - Steel Shop Drawings - Structural Drawings - Steel Erection Drawings - Steel Bar Joist drawings 2d drafting India has enough efficiencies and team of expert and professional structural steel detailers. Responsible for the leadership, project management and execution of the Jack-up Tender Barge drilling rig installation project in accordance with Company EHSMS, quality, cost, contractual, schedule and regulatory requirements as provided for under the Contract. Essential Qualifications •	Bachelor’s Degree in a relevant technical discipline (ideally Mechanical, Structural or Marine) •	Eligibility for membership of Institute of Engineers or equivalent Preferred Qualifications •	Most likely a discipline engineer who has moved into project management and leadership roles. Engineering jobs Australia ads Australia, Engineering jobs classifieds Australia, Engineering jobs free ads Australia, ads for sale Australia, ads to buy Australia, FREEADSAustralia. Find here ads for sale, to buy and rent in Australia. Goods for sale in Australia, vehicles for sale in Australia, Australia real estate for sale, Australia property for sale, property for rent in Australia, business ads in Australia, Australia business classifieds, services in Australia, Australia services ads, jobs in Australia, pets for sale in Australia, Australia dating, Australia cars for sale.